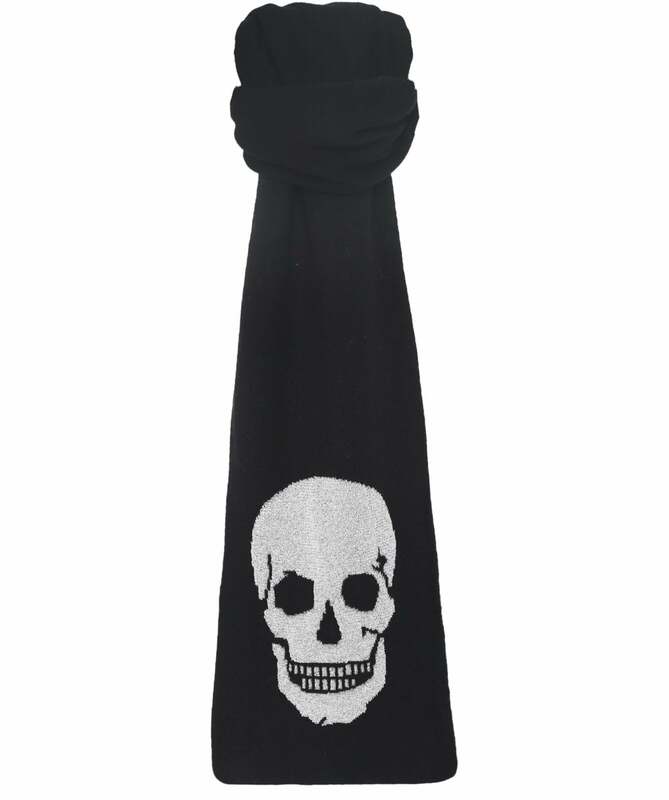 Wrap up in style this season with the 360 Sweater Leonie skull scarf. Expertly crafted from a premium blend of wool and cashmere for a super soft feel, the scarf features a flatter skull inatrsia offering a modern finishing touch to your look. Style your scarf with black outerwear to ensure you stay both cosy and stylish during the colder months.